It has never been easier to manage information and to provide the structure needed to assimilate, store and distribute vast quantities of information. Precision Products Inc helps set up transitional processes to capture a company’s information, code it and place it into a valuable company archive that helps ensure compliancy, fiduciary responsibilities to the company knowledge, and safeguard it for a continuum. We provide consulting for imaging system design, implementation, scanning conversion services, productivity software, workflow, “Get Started” packages, and mass storage systems. Precision Products conversion services takes the pain out of the maze of meetings, planning, hardware & software needs, staff hiring and mangement with an exit strategy. We develop procedures to allow your staff to be cost-efficient and productive. 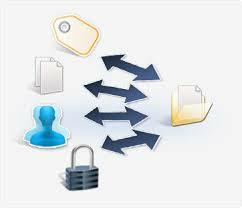 Our on site back file scanning service allows you to maintain control of document availability. Precision Products, Inc. is a leading partner for document scanning and indexing services. We provide services for document scanning, empowering your organization by converting escalating dysfunctional paper chaos into digital assets that take your organization to a competitive 21st Century level. Our services facilitate secure access to information, enabling increased productivity, performance and profits. We are recognized international experts to support large scale, mission critical conversion services for projects that require quick turnarounds and high quality deliverables. Utilizing our advanced technologies and processes, we can provide your organization with the highest image quality and coded data available in the industry today, enabling quick search and accurate retrieval of each secure file. We achieve this by tailoring our services to meet the unique requirements of each project. Our ten-step program turns paper chaos into digital assets. Once you realize that paper chaos has been keeping your organizations down, the first step to digital gold is to work with Precision Products Inc. to define your document scanning service needs and how you can utilize this to achieve cost efficiencies for your organization. Once the requirements are defined, we will provide you with a free cost estimate for the conversion project. The next step is to schedule the pickup of your project documents. Once we pick up your documents, we will perform an inventory process to log and label all files. 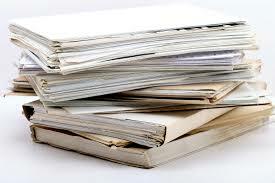 This process enables us to quickly retrieve any documents you may need during the project. The document preparation processes that Precision Products utilizes ensures that the natural order of each file is maintained and that the files are prepared to enable the best possible scanning results. 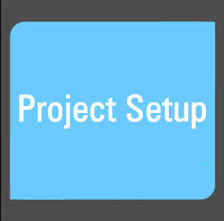 The Preparation Team focuses on general project requirements (such as staple removal, binding removal, document repair and page orientation) and specific project requirements (such as special handling of Post-It Notes, color images and media). This entails a thorough review of the prepared files to ensure that all project requirements are met and that no variation is introduced into the process. Our experience with large-scale file conversion projects has shown that this unique approach minimizes any impact on quality. We will work with you to resolve any deviations from agreed requirements. We tailor the Project Set-Up technical requirements based on the project requirements utilizing our industry leading technologies. These requirements define the tailored processes and quality procedures we utilize to conduct each stage of your organization’s project. We customize the project to specific technology requirements ensuring the levels of accuracy your organization should expect. 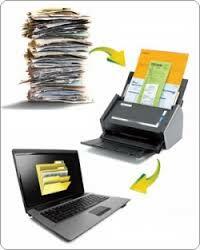 Your Team’s files are scanned utilizing our industry leading technologies. Our scanning technologies and processes ensure the best possible image capture. 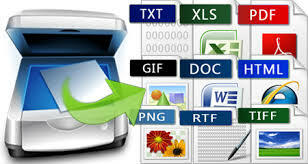 The Scanning Team focuses on general project requirements (such as image settings, file format, page size and paper thickness), and specific project requirements (such as special processing of odd-size pages, color images and double-sided pages). This entails a thorough review of the files to ensure that all imaging requirements are met and that no variation is introduced into the process. The files are converted into the required file format and processed utilizing the required image enhancement procedures. If defined as a project requirement, Optical Character Recognition (OCR) is performed to enable word level search and retrieval. In this task, each letter in an image is processed utilizing our industry leading technologies. Our advanced OCR technology provides the best text recognition fit ensuring the highest quality results. The technology recreates the text layout of a page, providing the best possible search and retrieval accuracy. The digital files and the coded fields are integrated utilizing our technologies and processes to ensure the best possible search and retrieval options. These coding technologies ensure that each file and its corresponding coded fields are integrated to create a file that acts as a self-contained database. The result are files that are flexible and accessible from CDs, DVDs, PCs, Servers or your organizations Document Management System or one provided by us. Your organization’s digital files are stored in our system and a Project Status Report is prepared. We pride ourselves on our ability to provide the best possible deliverable in the time required, and have designed each step in the conversion process with a focus on quality. As detailed in the description of the stages above, we take every measure to ensure consistency and quality while minimizing variation by continually improving our processes. 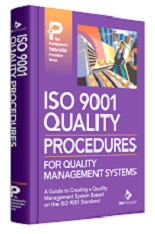 This is a tenet of ISO 9000 and the Quality procedures to which we strive to adhere. Your digital documents are shipped and the paper files are Returned or Certified Destroyed. Once you receive and review the digital files, we can initiate our electronic file destruction procedures, which permanently delete your files from our systems, with your authorization, exceeding the U.S. Department of Defense’ secure file destruction requirements. Our professional paper document shredding partner is a leader for secure certified document destruction.